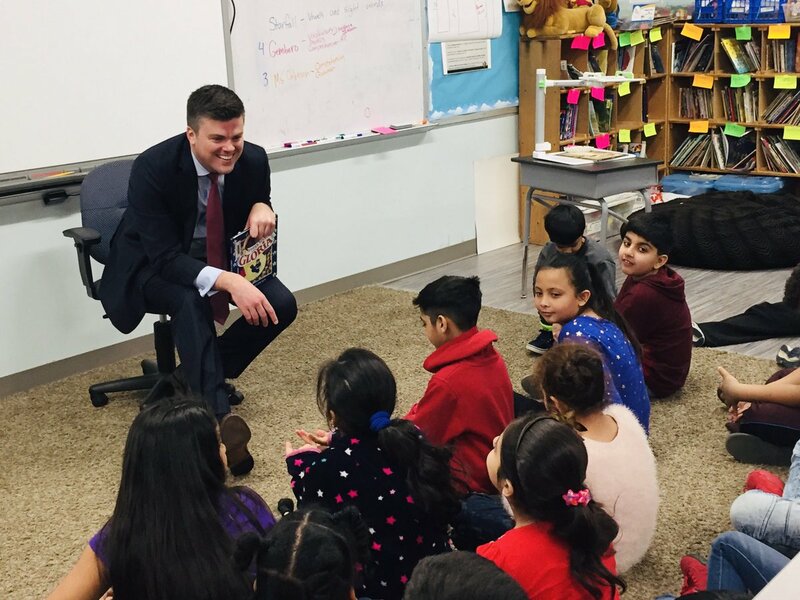 Our attorney, Kevin McManus, took time to talk with and read to third graders of Millennium at Santa Fe Elementary School as part of "Real Men Read Day" in Hickman Mills School District. Real Men Read is a nationwide, volunteer-driven program that brings male "MENtors" from the community into elementary school classrooms to read books throughout the course of the school year. In addition to promoting reading, the initiative seeks to address the lack of male role models in elementary education by allowing students to spend time sharing books with male role models in the community and reinforce the importance of reading in careers and life. Kevin spoke to the students about how important reading is in both his professional roles of lawyer and city lawmaker and answered questions related to both careers.